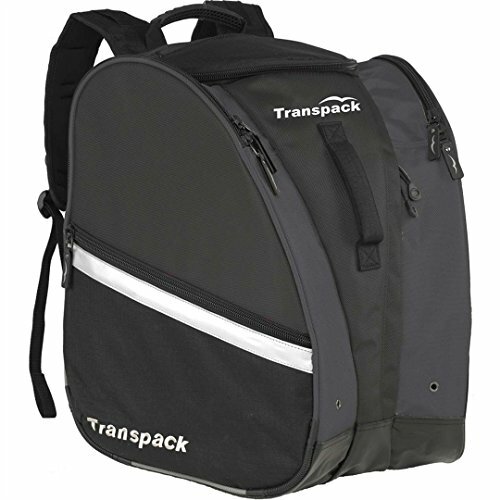 The Transpack TRV Pro is the bag for the world traveler. Function: Isosceles Storage System carries boots, helmet and gear. Fabric: Super tough, water resistant coated 1680 ballistic nylon. Front vertical zipper provides extra access to large central compartment. Adjustable waist belt and sternum strap for comfort, weight distribution and stability. Comfort grip rubber top handle and padded foam front grip handle. Side boot pockets with air/water drainage grommets. Coated water resistant central compartment for gear. Water resistant tarpaulin bottom. Closed cell foam padded back with ID holder. If you have any questions about this product by Transpack, contact us by completing and submitting the form below. If you are looking for a specif part number, please include it with your message.